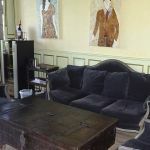 In an old manor farm, dating from the 16th century, near the town of Valognes and only 15 km from the sea, Corinne and Eric (both Bikers) welcome you, for B&B and/or self catering options. 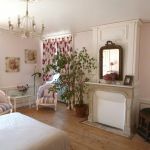 In a casual, charming and quiet setting, with 11 individually decorated bedrooms, modern comforts and en-suite bathrooms, to accommodate up to 24 people in the manor house and a cottage. A lounge with fireplace and a bar with large screen tv and music system are available for guests. 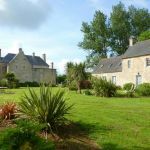 The estate is surrounded by fields and large landscaped gardens with a pond, private terraces with BBq's, tables and sun loungers to enjoy the surrounding countryside. 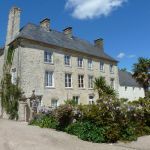 In a central position, only 25km from the port at Cherbourg, with enjoyable rides to the various tourist sites of the region, including Mont St. Michel, Bayeux, Sainte-Mère-Église, Arromanche museum, the D-day landing beaches of Utah & Omaha beach. The town of Valognes (3km) which has several shops, restaurants, bar and eateries. 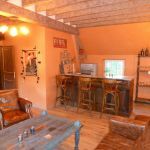 Easy access to the motorway N13 - Cherbourg-Caen. Free Wi-Fi. Covered, private and secure parking.